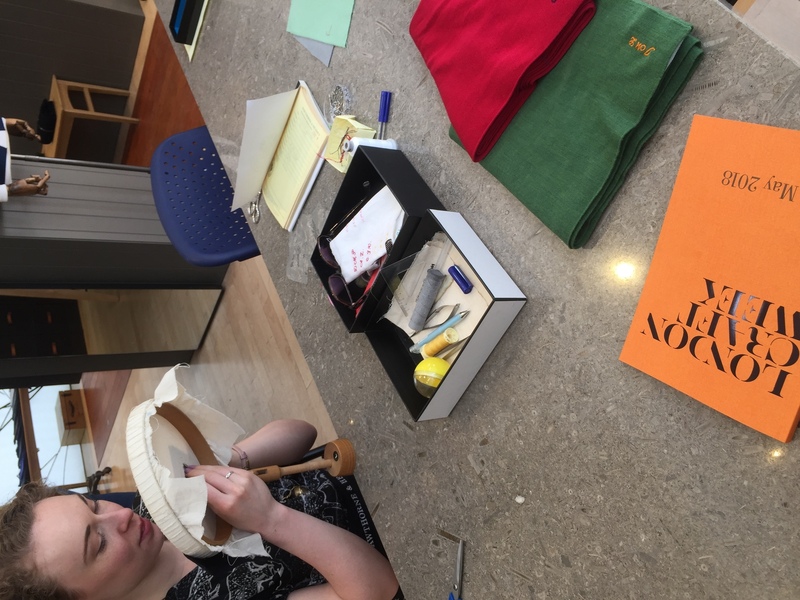 Hawthorne & Heaney is currently looking for an embroidery intern to join us for a few weeks in August 2018. Usually we only take internships of 3 months or more but we have a short period when we are looking for a little extra help between the 20th August and 7th Sept.
Duties will include machine and hand sewing, general administration, maintenance of the social media sites, research, assisting with embroidery preparation for both the staff and for the School and errands. Applicants must be hard working, versatile, enthusiastic, professional, responsible and able work well in a small team. 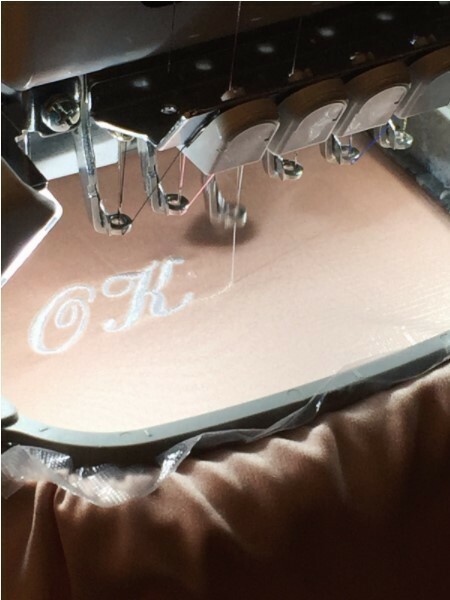 Attention to detail is a must along with patience as nothing in embroidery is particularly quick. 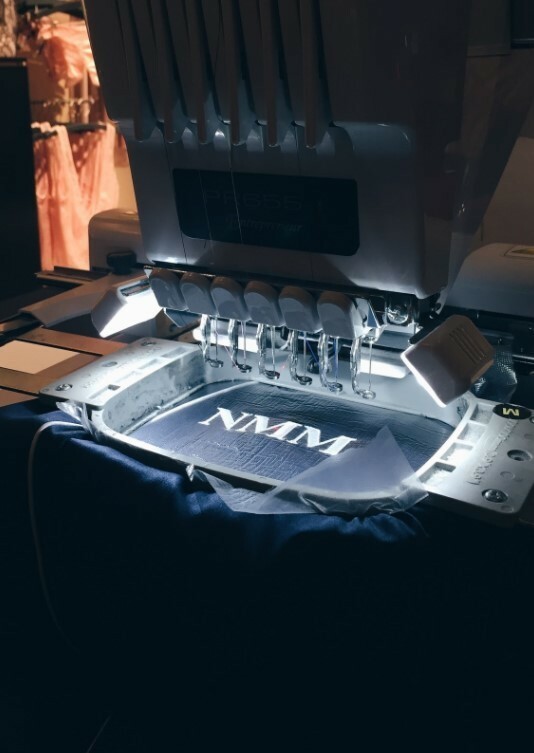 Sewing skills are essential, and a proficiency in both hand and machine sewing would be ideal. This internship is unpaid and should be taken in addition to a current undergraduate course, we are therefore unable to accept non students for this position. Hours are full time, Monday- friday 9-5pm. If you would be interested in furthering your studies please fill out the attached form. What were you doing last week? Specifically 9-13 May. 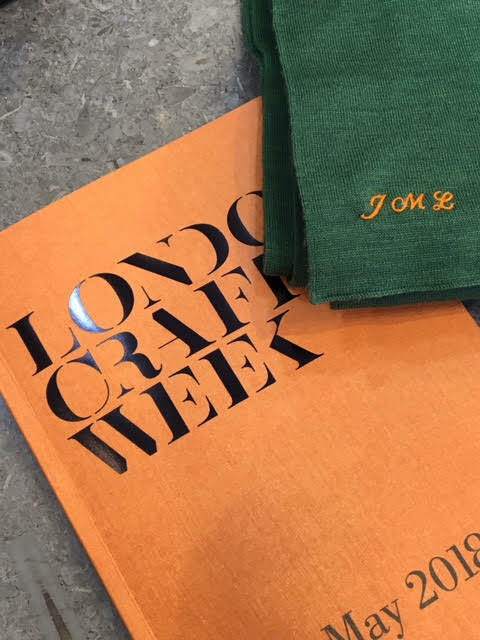 Did you manage to catch London Craft Week? Well, it’s alright if you missed it, because we are here to share with you what we did and learned! This festival that spans across London celebrates British and international creativity. 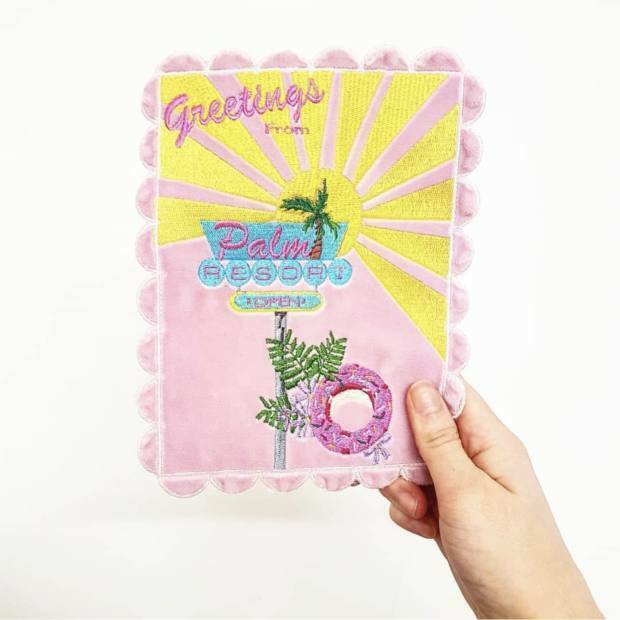 Covering a vast range of disciplines, it brought together over 200 established and emerging makers, designers, brands and galleries from around the world. 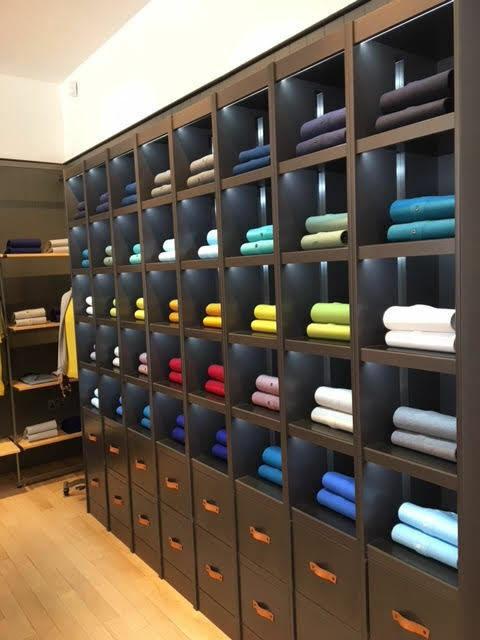 We started our journey in the heart of English bespoke tailoring- Savile Row. The Row that is entrenched deep in history, famous worldwide, houses over 100 craftsman in more than a dozen bespoke tailoring business. 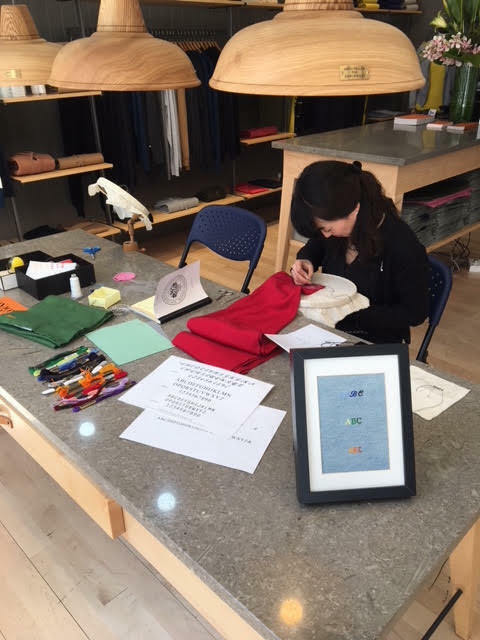 It is a community that not only produces the esteemed English luxurious product but is active in training new craftsman. 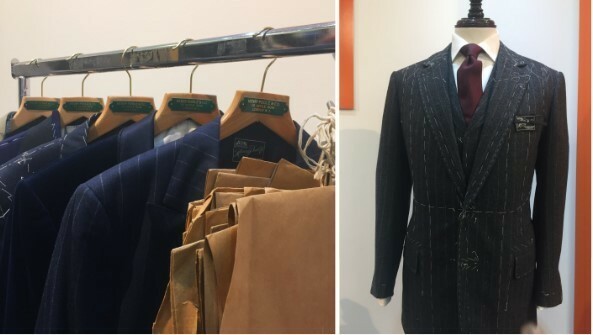 We had the chance to attend an hour-long masterclass pattern cutting at Henry Poole & Co. In the brief hour, taught by one of the cutters about dinner jackets, he engaged us on the construction of the trouser pattern. First, measurement was taken off a gentleman in the room, then he moved onto crafting the pattern. Primarily using the Centre Front Centre Back cutting system, where scales and mathematics are used to give proportions so as to draft for the body of the customer. After the hour, we gained a heightened respect for the craft of tailoring. Behind one jacket, it involves roughly 10 artisans, who engage in the making of the various sections of the garment. 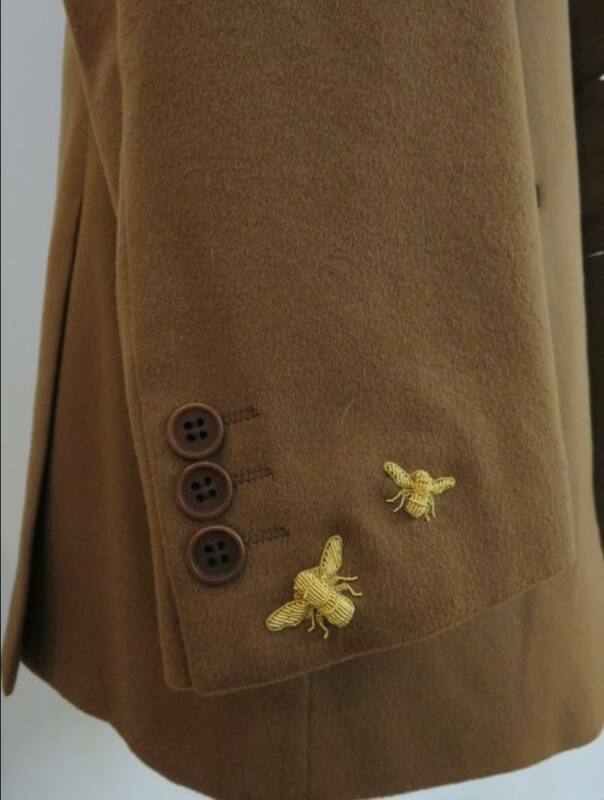 They perfect the moulding and shaping of the fabric so that it sits perfectly on the body. 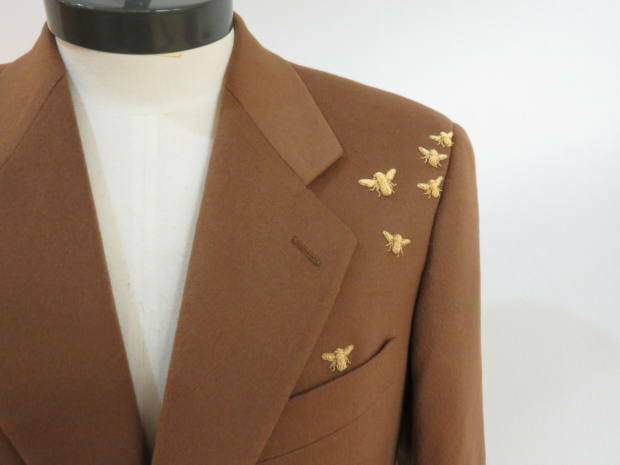 Bespoke tailoring suits are certainly a class of their own in both elegance and comfort. 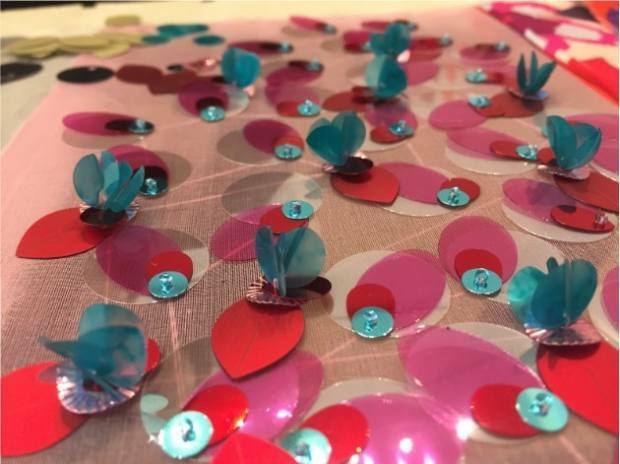 Next, we ventured down to Sloane Square, to discover Maria Svarbova’s photography series that was the inspiration behind Delpozo Spring Summer 2018 ‘Musicalia’ collection. 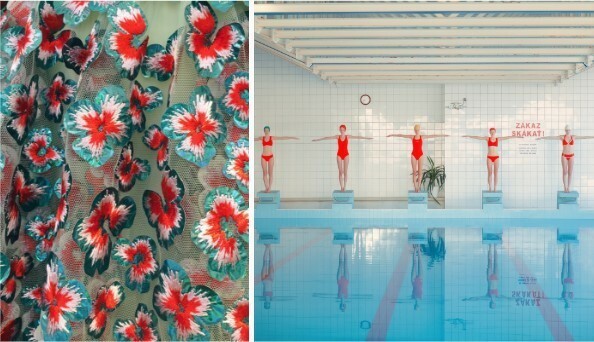 We were blown away by the beautiful photographs, that has this retro-futuristic. The artist describes the series as having a sense of ‘artificial detachment’, although set in a retro environment, ‘the pictures somehow evoke a futuristic feeling as well, as if they were taken somewhere completely alien.’, the moment is frozen in time. In addition, the symmetrical composition enhances the ethereal quality. 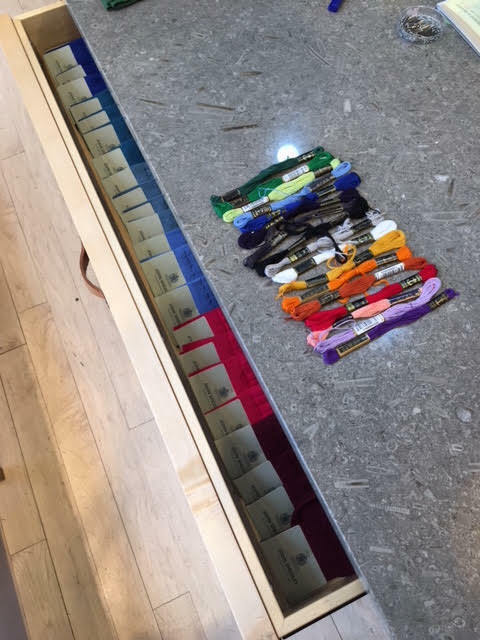 Looking at the collection alongside the photographs, there is much resemblance in the colour palette. 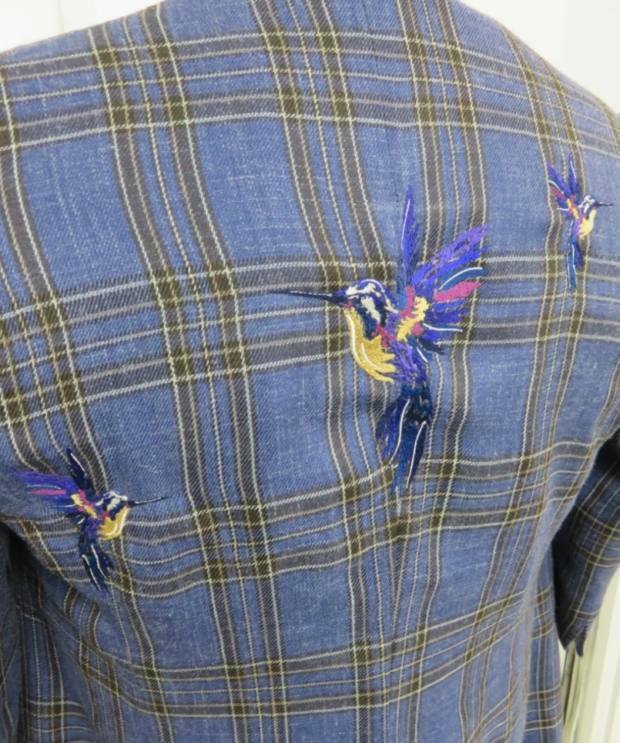 Creative director, Josep Font skillfully translated the swimming pool blue that ripples throughout the photographs, into the choice of the fabric and embroidery. Complimenting them with pastel shades of yellow, pink, and definitely the shocking red, there is a sense of a dreamlike atmosphere. In addition, the geometric lines and stillness of the pool, reminds us of the intimate atmosphere at the atelier; cool, architectural and beautiful, a style synonym with the brand. 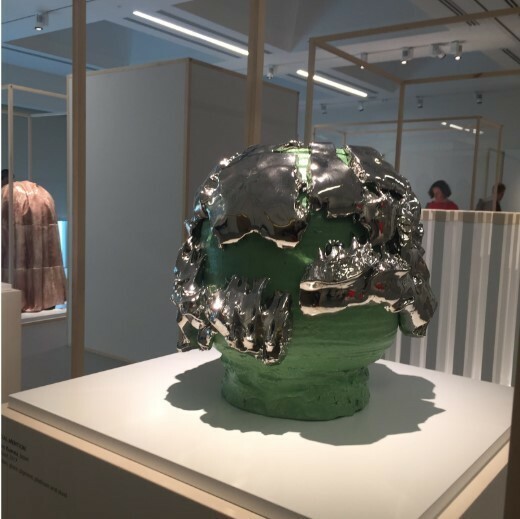 Lastly, we headed to the Loewe Foundation Craft Prize at the Design Museum, that will be held till 17 June. 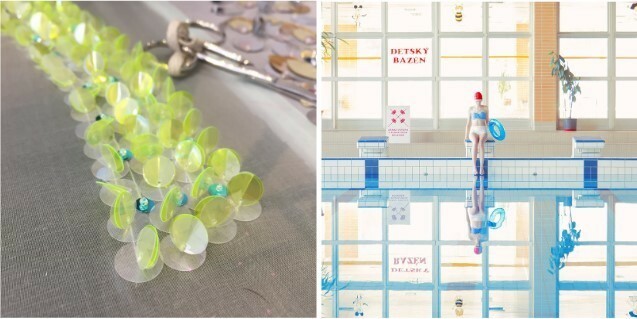 This exhibition best summarises craft and artistic endeavours all over the world. Exhibiting a range of international works that stretch across practices, such as ceramics, papercraft, woodwork to jewellery. 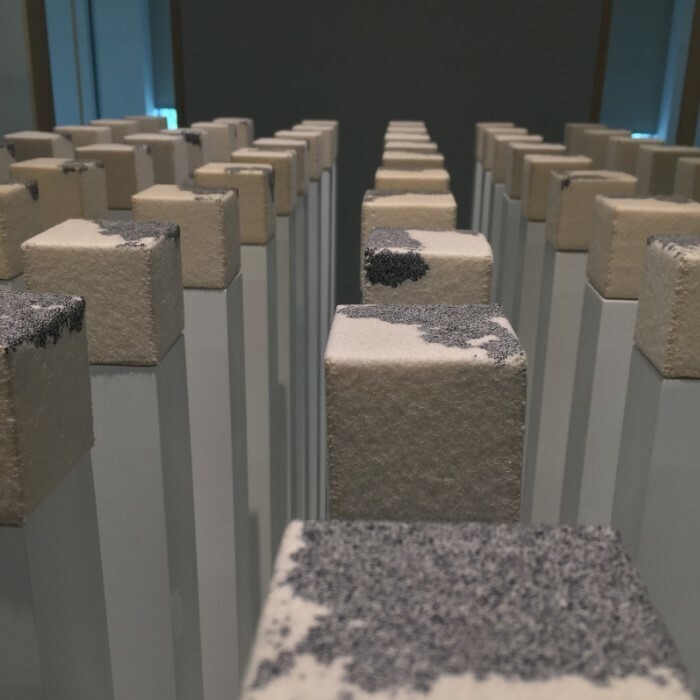 Entering the exhibition, visitors are provided with an audio guide, that gives a detailed explanations about the works, aiding further appreciation and understanding of the craft in view. 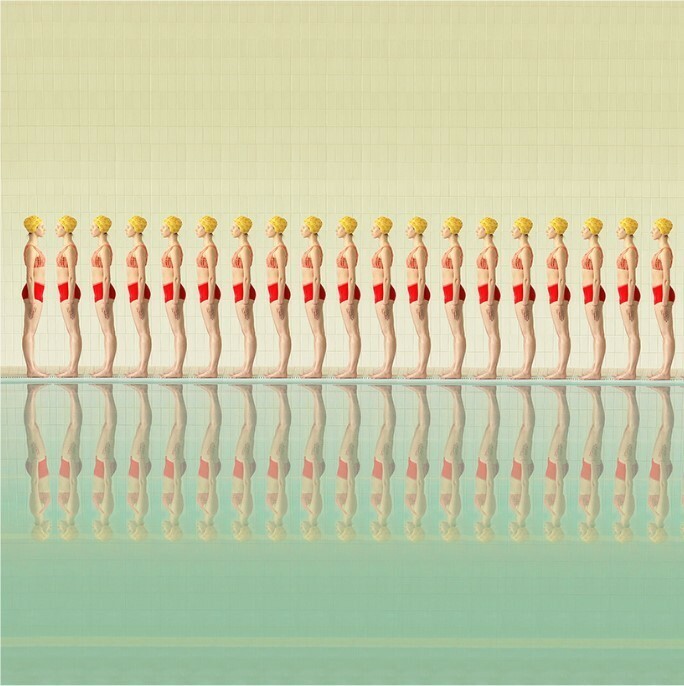 One theme that ran throughout all the works exhibited is that there are continued efforts made to revive traditional techniques alongside pushing the boundaries of the skill. 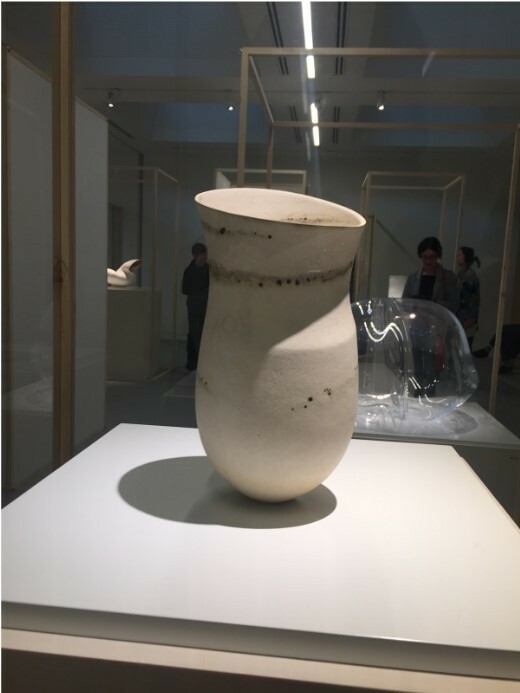 An example is a winning piece by Jennifer Lee, who mixed metallic oxides into clay to create colour, a technique that she discovered. 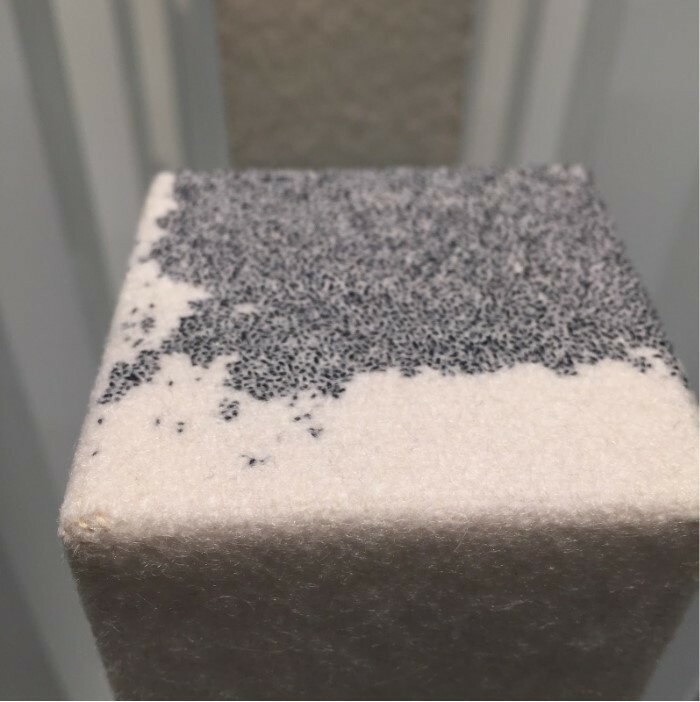 Complimenting this avant-garde colouring technique, with an ancient practice of pinching and coiling clay, it resulted in the creation of a beautiful speckled surface. The varying gradient of bands that encircle the piece, resembles time frozen between traditional and contemporary. Another work, that we truly appreciate is by Takuro Kuwata’s Tea Bowl. Unlike traditional potters, who often aims to hide any cracks in their work, Kuwata defies that norm. He enhances the impression of chaos, that is natural to the unpredictable nature of ceramics, by making it the feature point of his work. By combining porcelain with platinum and steel, he challenges the possibility of materials. The melted and crack surface of the work is complemented with the saturated green patina, that makes the work contemporary and elegant. Embroidery is also celebrated at this exhibition! Richard McVetis, who is captivated by the meditative nature of the process, draws with needle and thread. He embroidered sixty cubes over the duration of sixty hours, materialising time into something tactile and visual. Perched on 60 beams, the 60 cubes remind me of the globe of islands, but in a square. It is a rather fun way of curating the world and plays on the idea that the world is not round but square. 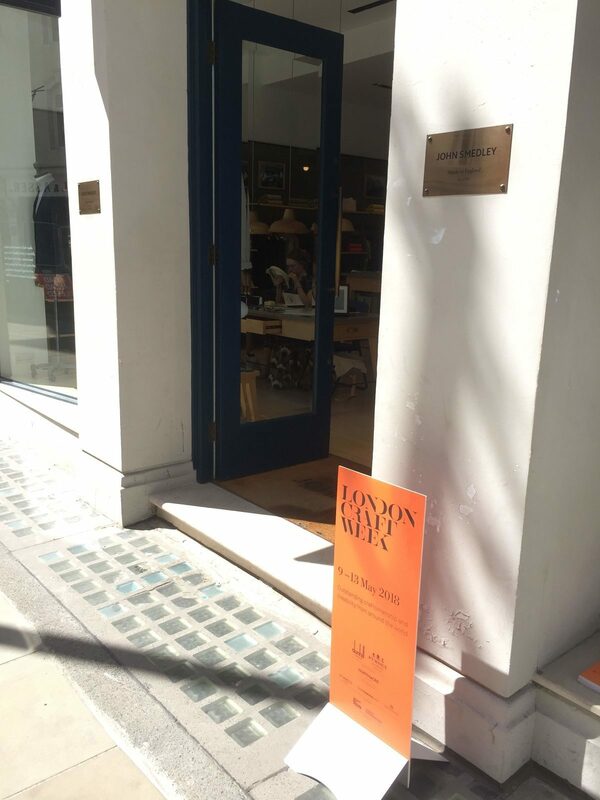 London Craft Week is truly a celebration of hands that spans multiple disciplines. It makes us cherish and esteem the time and energy that goes into crafting beautiful objects. Unlike mass produced items that are often regarded as disposable, the work of the hand interweaves personal stories and beauty into everything made. In this age of mass consumption and disposal, we are glad that there is a renaissance in the appreciation of creativity and craft worldwide. 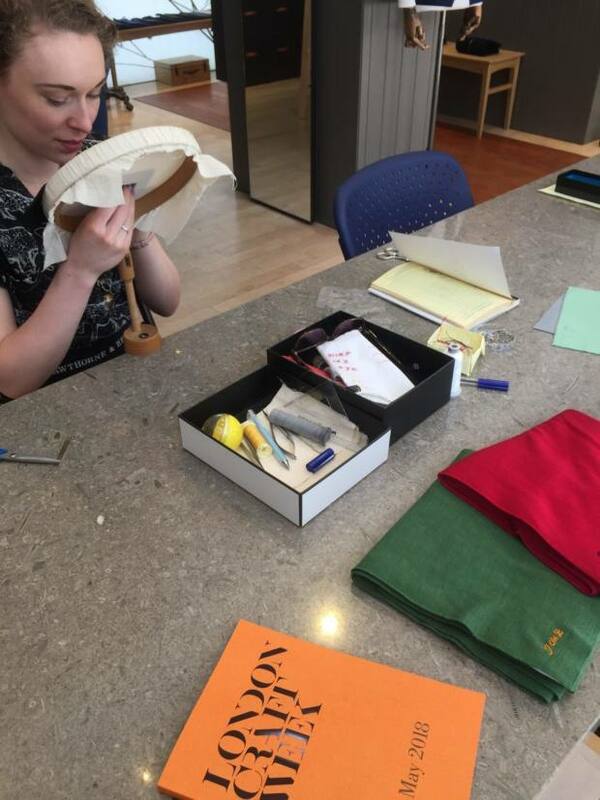 We at Hawthorne & Heaney, are definitely standing behind that resurgence and hope to safeguard the shared heritage of craft. Hawthorne & Heaney to the Rescue! There is nothing worse when a beloved item of clothing becomes damaged! whether it be a tear or a pesky moth has taken a bite. While this may feel like the end of an item. Fear not, with a bit of embroidery we can bring your garment back to life! With some tricks up our sleeves and a creative eye. We brought new life to this cashmere coat with some Goldwork bees! 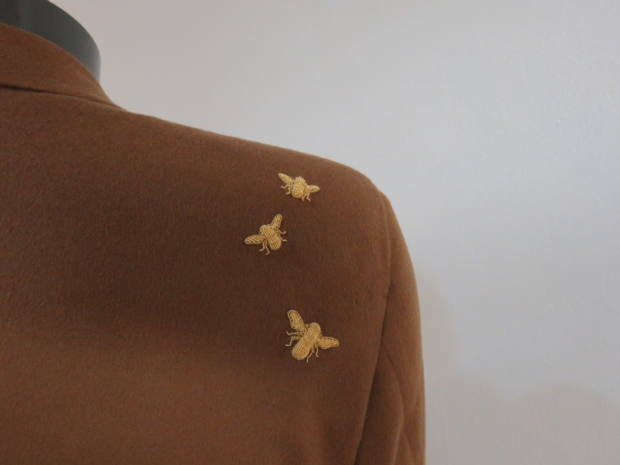 Even though there were only a few holes we added more bees to make them a feature of the coat. We have also come to the aid of split seams! this beautiful tartan jacket came to us. 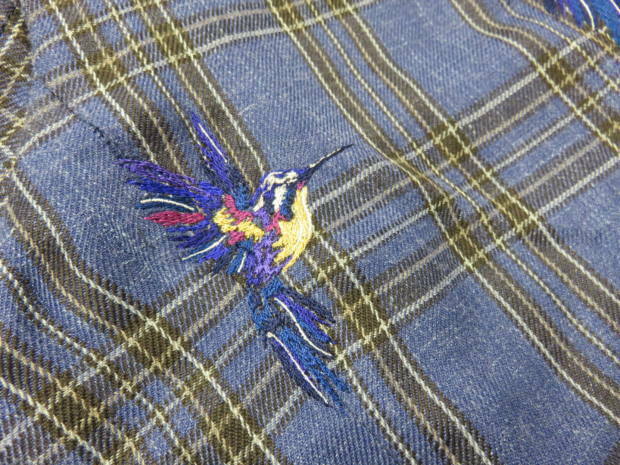 One of our very talented embroiderer, designed this stunning humming bird with blues and yellows. One Bird just want enough! Here at H&H we thought you may appreciate a little reminder of the summer to ease the transition. A few of us at Hawthorne & Heaney are quite keen on or cars which may have been alluded to recently by the appearance of the Heaney Motors Ford Galaxie 500. H&H were given the opportunity to sponsor this beautiful American muscle car which took part in its first race at the Brighton Speed Trials 2017. The vintage and muscle car scene is an excellent opportunity for customisation and modification and not with just the cars ! Our driver, with an existing addiction to vintage motor patches, jumped at the chance to have bespoke overalls made. With a vintage American style font to match the car made in a patch for the back (patches are important here so that the integrity of the fire retardant suit is not compromised). H&H also strayed a little from embroidery and worked together with Kituoutkustoms to create a vintage decal for the car. 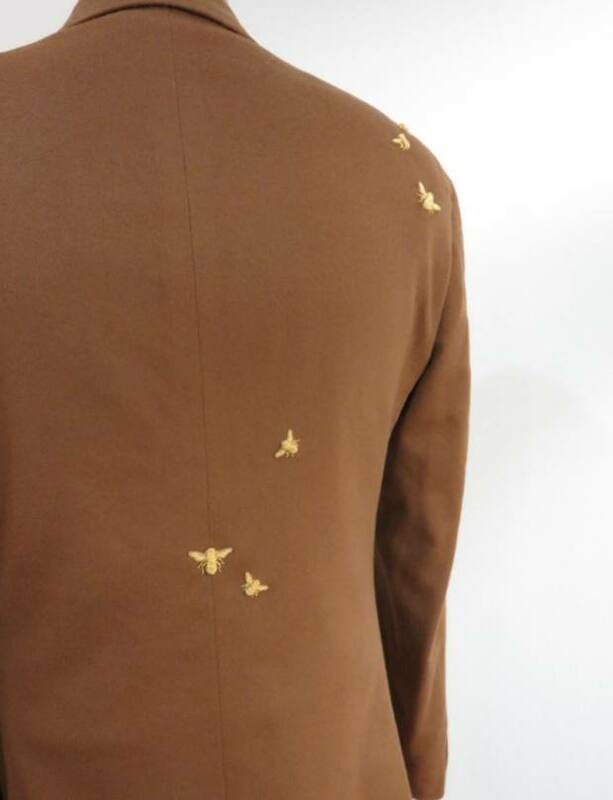 We sourced some vintage look machine turned light gold vinyl which was cut with a black to create a shadow. The effect worked with the nature of the car and was such a pleasure to work on with the car wrap specialists in Hoddeston. The race day was the last real day of Summer and was such an enjoyable event. With an eclectic mix of cars both vintage and modern and the Heaney Motors Galaxie certainly stood out in the crowd !